May 3 - 4th in Washington, D.C. This bill would remove Steve Bannon, the president's top political aide and known white nationalist, from the National Security Council. Our national security is too important to be decided by a known anti-Semite. Click for a summary of the bill. Nikki Haley's Epic Moynihan-like Defense of Israel at U.N.
Nikki Haley always has been pro-Israel. But as U.N. Ambassador, she doesn't get to voice purely personal opinions, but rather, speaks for the administration. Yet, any ambassador cannot help but bring his or her own style and wording to the job. We certainly saw that with Ambassador Daniel Patrick Moynihan, when he lambasted the U.N. General Assembly after passage of the infamous (and now revoked) 1975 "Zionism is Racism" Resolution 3379. Haley just had her Moynihan moment. At her first press availability since becoming Ambassador, Haley lashed out at the blatant anti-Israel bias of the U.N. in general, and the Security Council in particular. Justice Minister Ayelet Shaked is a big winner in the battle over the Supreme Court's future, with three of four justices appointed by the Judicial Selection Committee either reflecting a more conservative approach to the law or being on her list of acceptable non-activist judges. Right-wing ministers praised Shaked and expressed hope that the new judges would help change the character of the state. Four Supreme Court slots will open later this year. 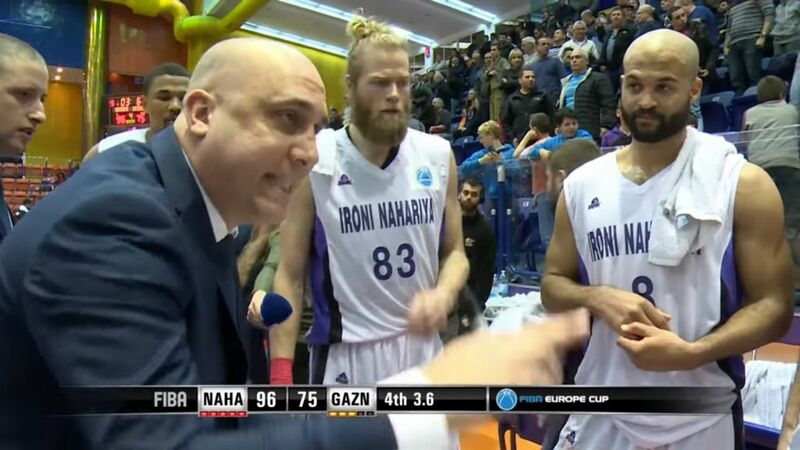 Culture and Sports Minister Miri Regev traveled with the Ironi Nahariya basketball team to its game in southern Turkey, ending a showdown between Israeli and Turkish security authorities. According to government sources, Regev joined the team's flight to Gaziantep after Turkish officials refused to allow Ironi Nahariya to be accompanied by armed security forces without the presence of a minister. As a candidate and as a President, Trump has seemed oddly untroubled by the license that anti-Semites derive from the us-against-them motif of his rants. But now, Trump says, the bigotry "has to stop, and it's going to stop." Although Trump regards himself as an American original, his cult of white supremacy on which his movement depends upon is a structure erected to keep Jews in their place. 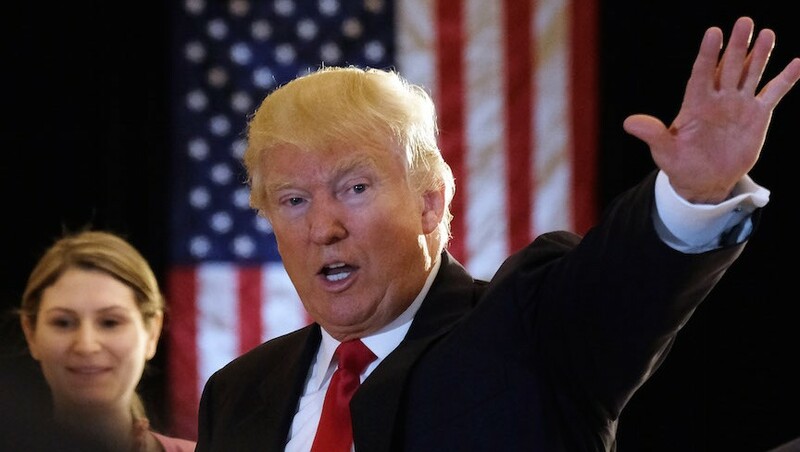 Steven Goldstein, executive director of the Anne Frank Center for Mutual Respect, exploded on Trump as a 'purveyor' of anti-Semitism and called on him to fire a Senior White House aide accused of making insulting statements about Jews. "Our president is creating an incubator of hatred," he said. "When you don't respond to anti-Semitism as well as Islamophobia and racism in real time, when you wait days and sometimes a week to respond to attacks, you are sending a signal to the haters." Goldstein claims "the Anti-Semitism coming out of this Administration is the worst we have ever seen from any Administration." The American Jewish community is receiving bomb threats with a frequency that modern leaders have never seen and these threats are a threat against everyone. The silence from the White House has been deafening. Even though the White House has finally recognized the string of bomb threats, Jewish communities are not getting the attention they need, just as hate groups become more emboldened. Although many local authorities have labeled the threatening calls a hoax, as they gain traction in the media they become less of an immediate threat and more of a call-out to other bigots. The era of free birth control for women could be coming to an end. The requirement that insurance companies cover contraception at no cost is believed to be on the chopping block now that Tom Price has taken over the Department of Health and Human Services. Price opposed the mandate as a member of Congress as well as other rules related to Obama Care. As Congress moves to repeal and replace the Affordable Care Act, Conservative Republicans have opposed the mandate saying it infringes on religious liberty by requiring employers to pay for contraception coverage, regardless of their beliefs. Television tends to focus on its characters making the choice to have an abortion - perhaps because that's where emotional conflict often stems from. While it's great that television is more open than ever about showing abortion as an option for women, it's also important that it is depicted accurately. Women need to know that they have options, but also what difficulties they can expect in going through with them. TV can do right by women by showing the world the BS they sometimes face in exercising the right to their own body. It's an uncomfortable mirror to our reality, but one that people need to see in a time when a woman's right to choose is under attack. 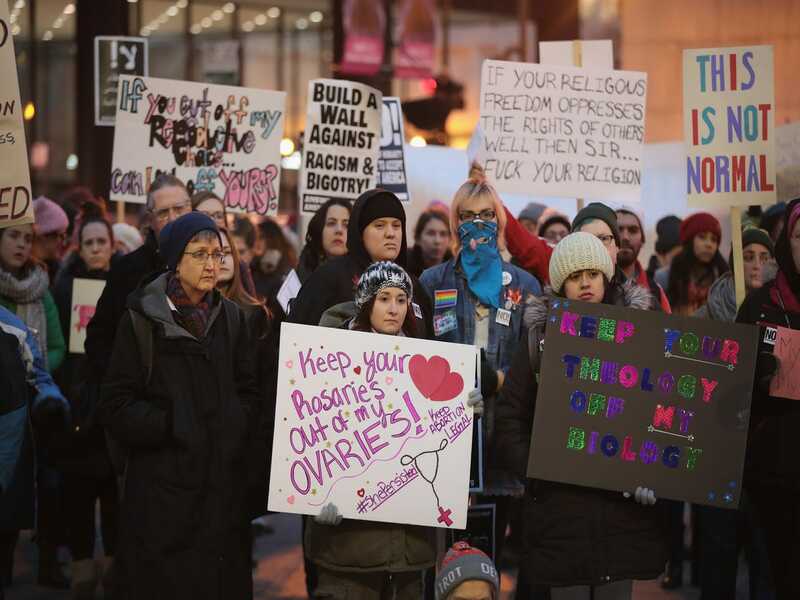 Norway has now joined an international initiative to raise millions of dollars to replace shortfalls left by Trump's ban on U.S. funding for groups worldwide who provide information on abortion. The Netherlands started a global fund to help women access abortion services, saying Trump's "global gag rule" meant a funding gap of $600 million and have pledged $10 million to the initiative to replace. The First Amendment does not protect the right to impose your religious values on others. Trump's religious freedom executive order is an extension of a legal theory being pushed by conservative groups that gives individuals wide latitude to claim the religious freedom to do basically whatever they want. The executive order allows "any organization, including closely held for-profit corporations" to claim religious freedom when providing social services, education, or healthcare; earning a living, seeking a job, or employing others; receiving government grants or contracts; or otherwise participating in the marketplace." In other words, as long as you have a religious justification, you can refuse to do your job, serve any individual, employ any individual or do really anything at all, and you will face no penalties for refusing to comply with company rules. A federal appeals court on Tuesday upheld Maryland's ban on assault rifles, ruling gun owners are not protected under the U.S. Constitution to possess "weapons of war," court documents showed. The U.S. Court of Appeals agreed 10-4 the Firearm Safety Act of 2013 does not violate the right to bear arms within the Second Amendment. 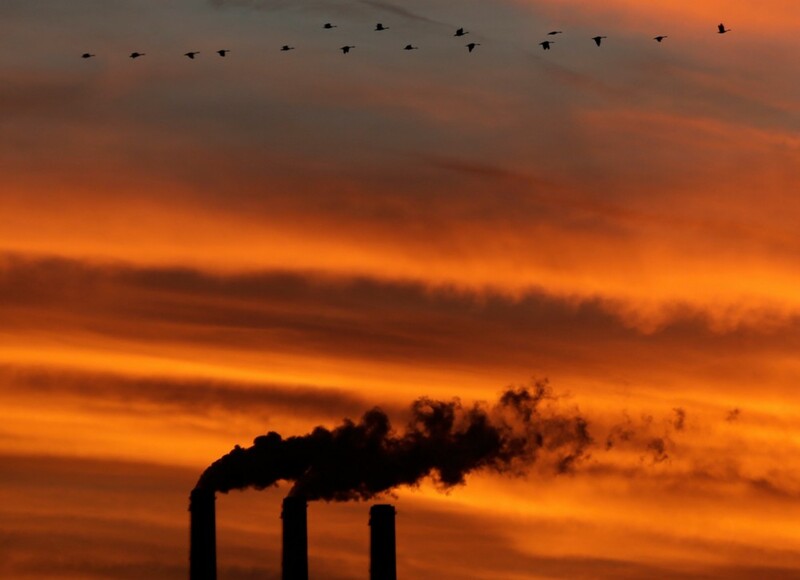 Two new studies add to the growing body of evidence that air pollution is causing higher rates of Alzheimer's and dementia. Trump campaigned on rolling back Clean Air Act rules and boosting coal use, which, along with vehicle exhaust, is the principal source of particulates. small particles that appear to travel directly from the nose to the brain, where they do considerable damage. The other key study found living close to heavy traffic was associated with a higher incidence of dementia. Democrats across the country say their comeback must begin with key races next year - and warn that failure to make big gains in state races in 2018 will doom them to another decade in the minority in Washington. More than three dozen states will choose governors in the next two years, while voters pick state legislative candidates in thousands of districts across the country. As Republicans captured control of both chambers of Congress and the White House, Democrats have suffered deep losses at the state and local level in recent years. Republicans control almost 1,000 more state legislative seats across the country than in 2009. Today, 33 governors are Republican; when Obama took office, just 21 governors were Republican. The Trump administration is off to a roaring start on delivering goodies to Big Business. Every day brings a new, extraordinary grant of power to corporate interests and/or another development in Donald Trump's get-rich-quick-scheme known as the American presidency. Corporations that have pending business before the president -- AT&T, Bank of America, Boeing, Chevron, Deloitte, JPMorgan Chase and United Parcel Service -- were among the top funders of the inauguration festivities. President Trump signaled his intent to deliver on the corporate wish list by signing two executive orders: one designed to start the process of destroying the Affordable Care Act and another freezing all regulatory activity for 90 days. Will the election of Donald Trump create a wave of female candidates at all levels of government in the coming years? Early signs from the groups that work with women considering a bid for office suggest a level of intense interest not seen in at least a quarter century. For some it is a reaction to Trump and his policies, for others it is Hillary Clinton's loss and not having a female president woke them up. Democrats are deploying resources to Georgia in hopes that the special election to replace Tom Price becomes a referendum on President Trump. 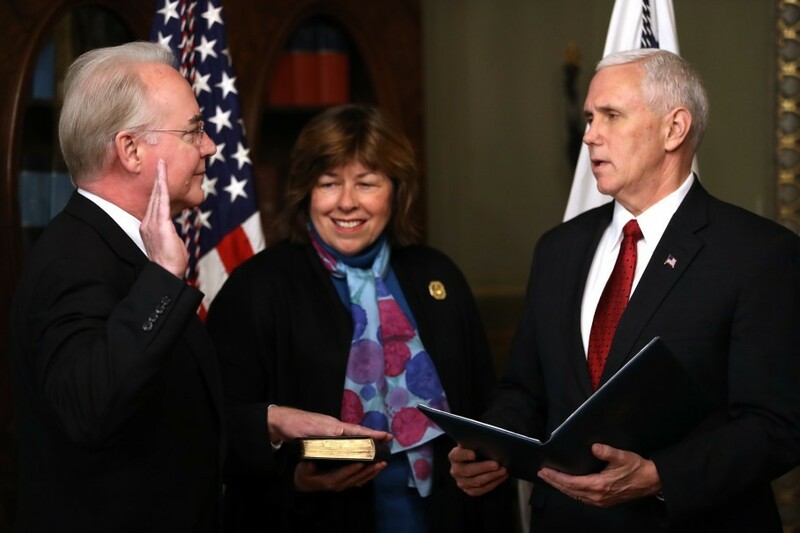 Since Price resigned to become the Secretary of Health and Human Services, the Democrats see an opportunity to pick up his seat, which was once held by Newt Gingrich. The Democratic Congressional Campaign Committee is paying to put nine staffers on the ground and transferring money to the Georgia Democratic Party. This program will identify and register voters who have never been targeted in previous elections. Moore has created an easily accessible website with a Resistance Calendar where people can post news about upcoming resistance activities and find out what is going on in their community. He has unleashed "The Michael Moore Easy-to-Follow 10-Point Plan to Stop Trump," which contains Moore's list of tactics for resisters all over the country. According to Moore, Trump is in deep trouble -- in the pocket of Russians, surrounded by alt-right idiots, alone in his bathrobe in a mostly empty White House. The Academy of Motion Picture Arts and Sciences is happy to forget 2016, when it was widely eviscerated for nominating only white artists in the major award categories for the second straight year. Things are looking up for this year's Academy Awards as they feature a more diverse set of nominated actors and a stronger slate of nominated films. 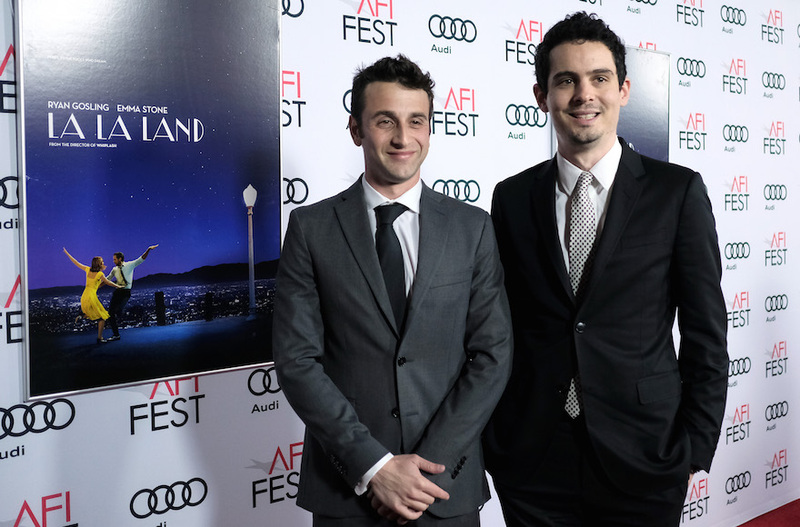 There are fewer than usual overtly Jewish storylines underpinning the ceremony, but with some digging we picked out some of the unexpected Jewish tidbits from among the nominees. 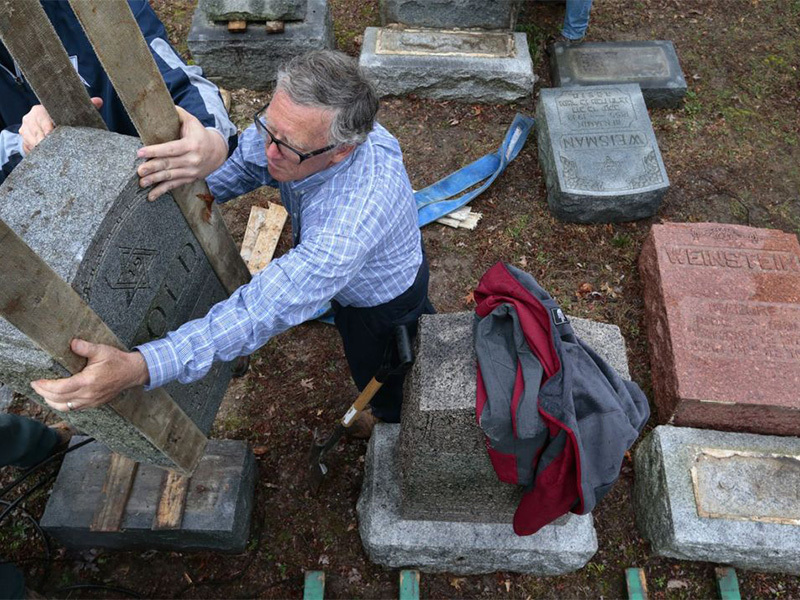 The damaging of dozens of headstones at a Jewish cemetery spurred Muslim groups to raise thousands of dollars to help with repairs. A crowdfunding campaign raised more than $125,000 to help the Chesed Shel Emeth Cemetery after up to 200 headstones were toppled during the weekend. Council members said they would join in cleanup efforts at the cemetery followed by an interfaith vigil. The Muslim advocacy group also offered a $5,000 reward for information related to the series of bomb threats to Jewish community centers across the country early this week. Three weeks after Donald Trump won the presidential election, I received an email; "Are you angry or concerned after the election? Looking for something you can do to make a difference? So are we." Led by Ariella Lis Raviv, Brooke Bendix and Michal Nodel, we formed JACII Detroit. This group will maintain the same principles as JACPAC, with a focus on a younger demographic. "No single person has experienced every struggle or learned every lesson, but united, the American people have the insight and dogged determination to confront this nation's greatest challenges. Our diversity is our greatest strength. We cannot close our doors to immigrants and refugees, erode the rights of our fellow workers or deny health care to our neighbors."